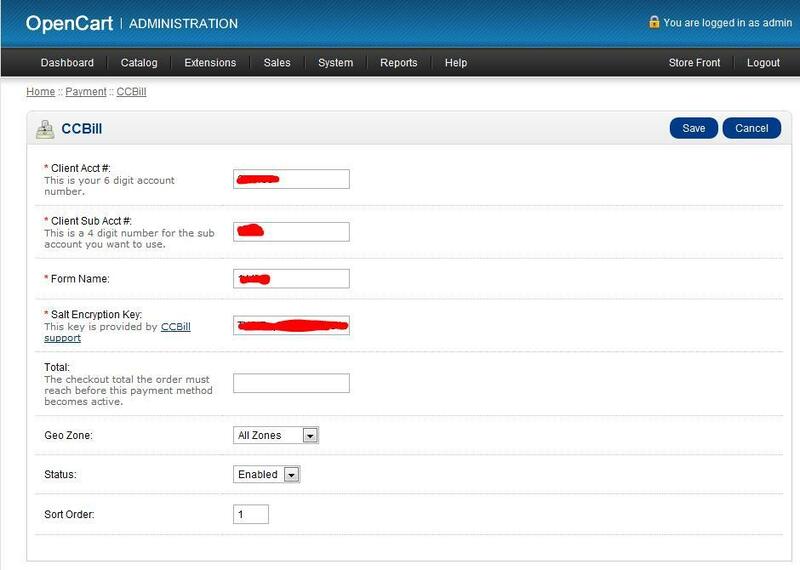 This will allow you to use CCBill as a payment option in your OpenCart store. To install, you just unzip the files into the root directory of your OpenCart installation. There are detailed instructions included that will walk you through setting up this module. There is also contact information for CCBill if you have any CCBill related questions. NOTE : this script was created to be used with CCBill’s Dynamic Pricing. It allows you to pass your shopping cart total to CCBill for payment similar to how Paypal works. 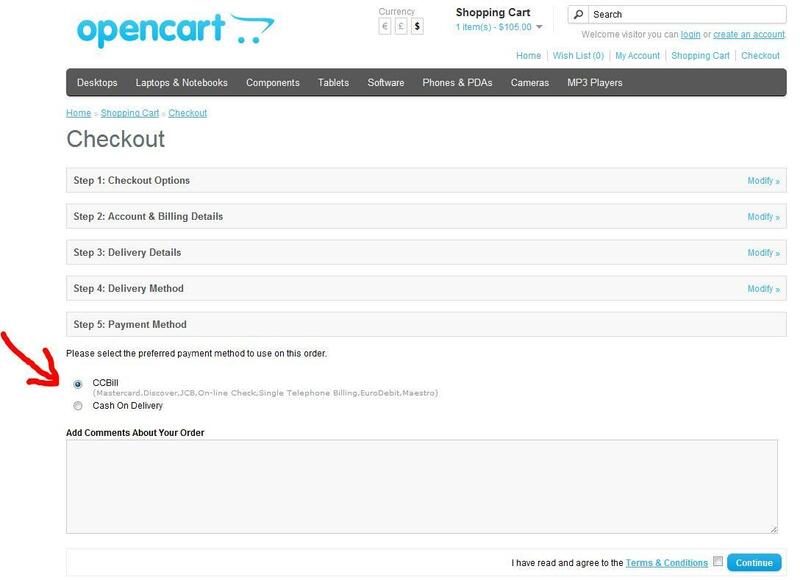 After payment is made the user is sent back to OpenCart. If the payment is successsful then OpenCart approves the order. If the payment isn’t successful the order should stay in pending status.